Nuisance birds, especially pigeons, can spread diseases and parasites to humans and don’t belong in or on our homes or businesses. Pest Control Center Inc., offers effective options for control. Each situation is unique and will require a visit to the site prior to providing a quote. 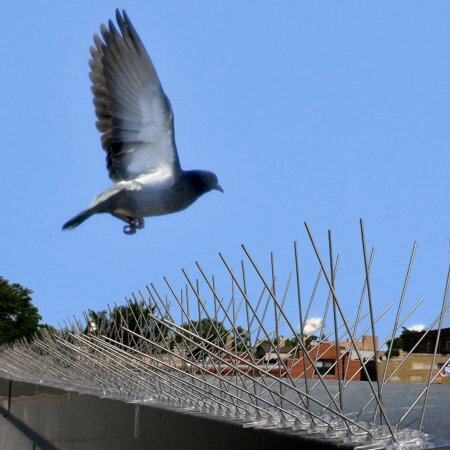 We also offer the use of Avitrol to discourage pigeons from roosting on specific buildings in commercial settings. Bats are beneficial in our environment for the large numbers of insect they consume. However, bats are also known as carriers of the deadly disease Rabies. Because of this they should be discouraged from roosting in or on human-occupied structures. Bats are best controlled by exclusion and each situation is unique. There are also some endangered species laws that must be taken into consideration. Contact us now to learn how to get rid of bats. Quotes must always be preceded by an in-person visit to the site. Contact us today to schedule your walk through.